Craig Lambert ’69, Ph.D. ’78, retired as Harvard Magazine’s deputy editor (a real job) late last year and promptly turned his energies to completing his second book (another real job). 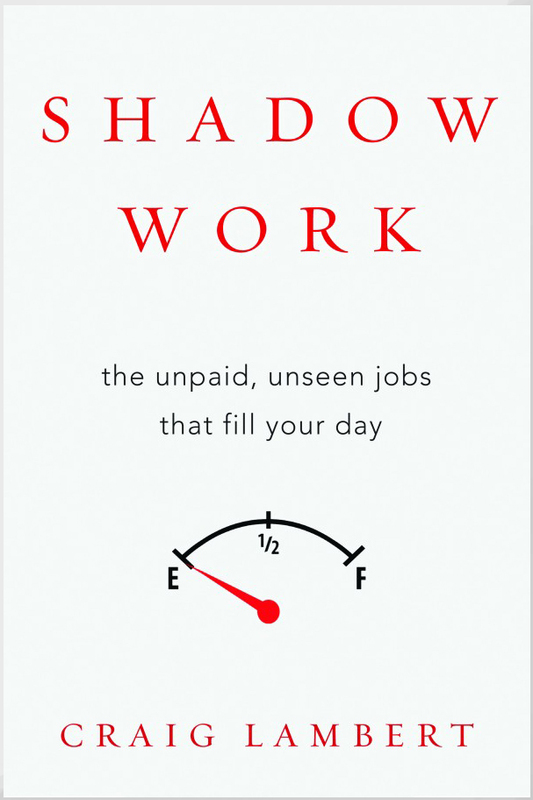 Shadow Work: The Unpaid, Unseen Jobs That Fill Your Day (Counterpoint, $26) is published today. Customers clearly find some of this transfer of effort efficient and useful: it is easier to find lots of products on line via Amazon and other vendors than in stores; and much less vexing to have those items delivered than to drive through suburban traffic, find a parking space, trudge through a mall, perhaps find the wanted item or a salesperson who knows where to find it, and complete a purchase. Life has become busier. Somehow there seems to be less time in the day, although days remain indisputable twenty-four hours long. In truth, time isn’t vanishing, only free time is. How can this be? We are living in the most prosperous era in human history, and prosperity supposedly brings leisure. Yet, quietly, subtly, even furtively, new tasks have infiltrated our days, nibbling off bits of free time like the sea eroding sand from the beach. We find ourselves doing a stack of jobs we never volunteered for, chores that showed up in our lives below the scan of awareness. They are the incoming tidal wave of shadow work.